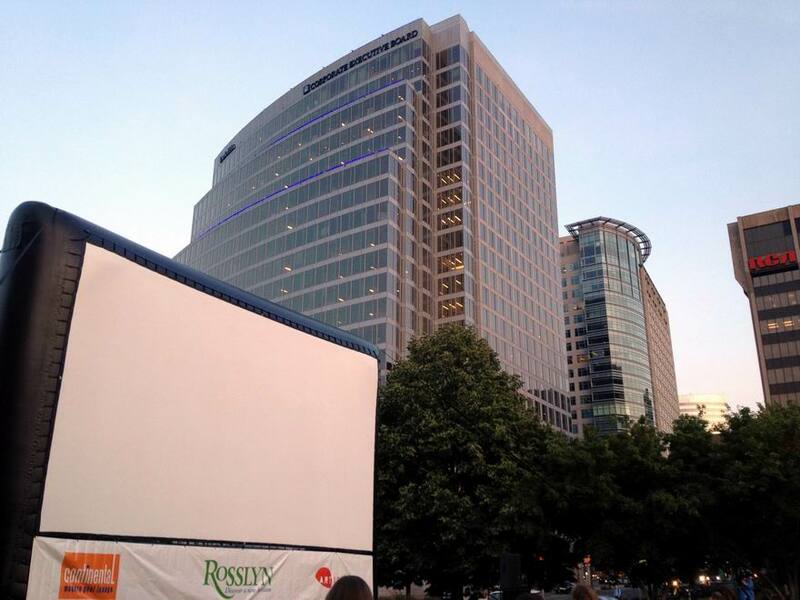 So many free movies, so little time! 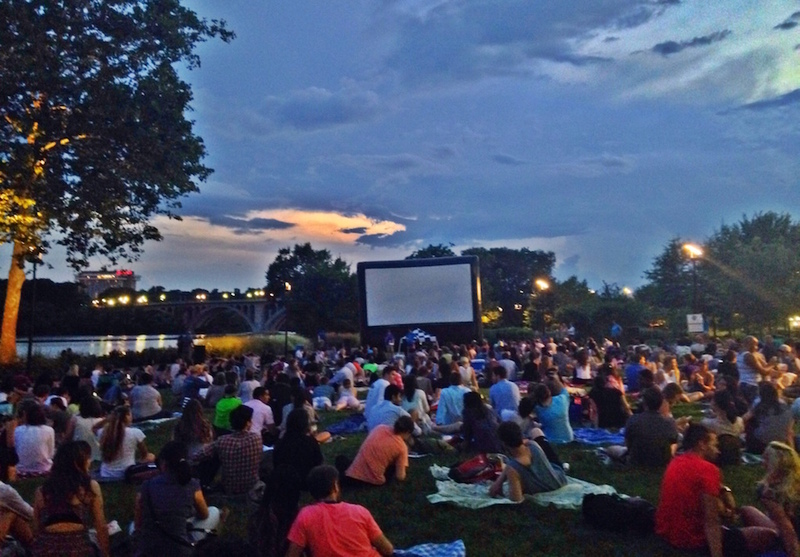 And Here is a link to a complete list of outdoor movies in the D.C. area. 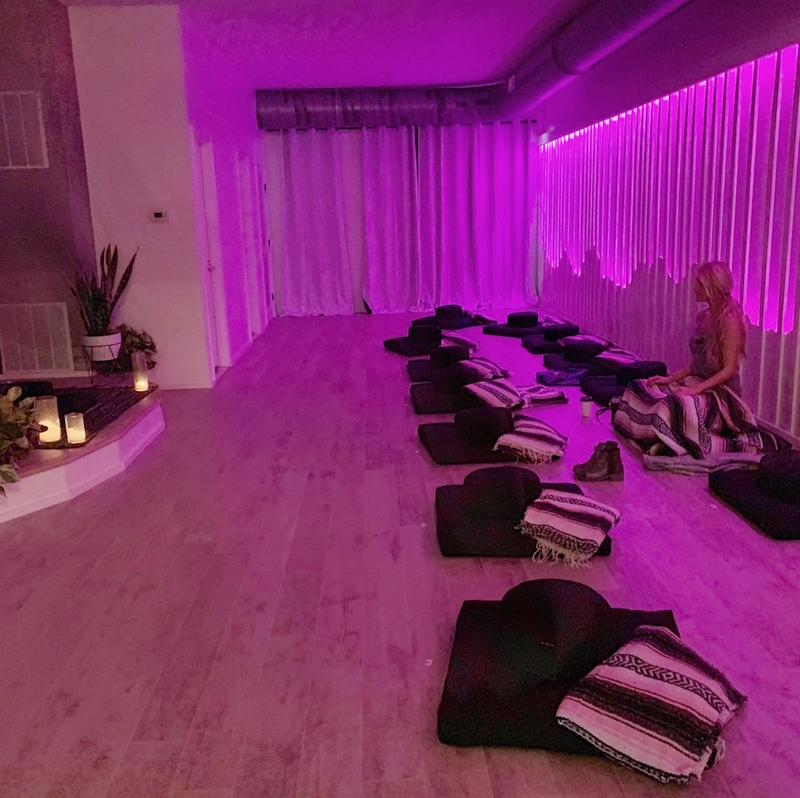 You could almost catch a movie a night the way they are spread out throughout the week. 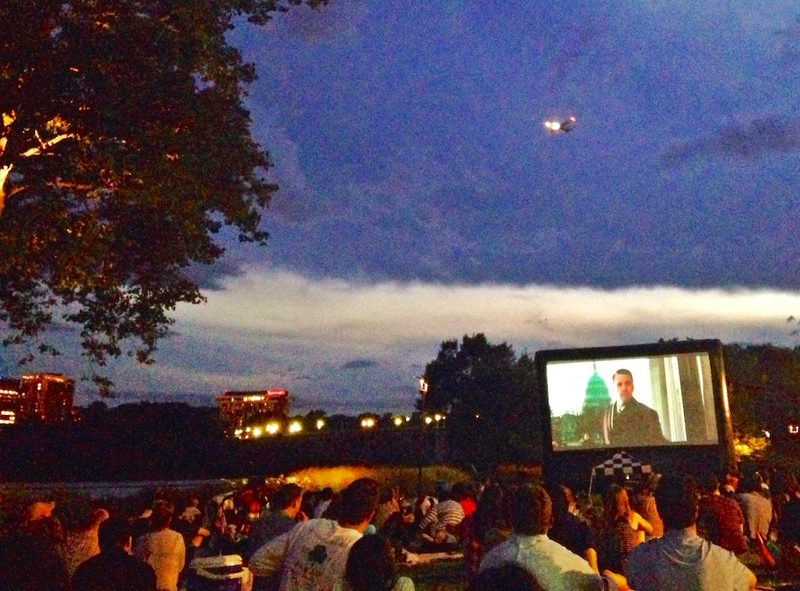 Screen on the Green (on the National Mall; Monday nights) is another great spot…just a lot more crowded. 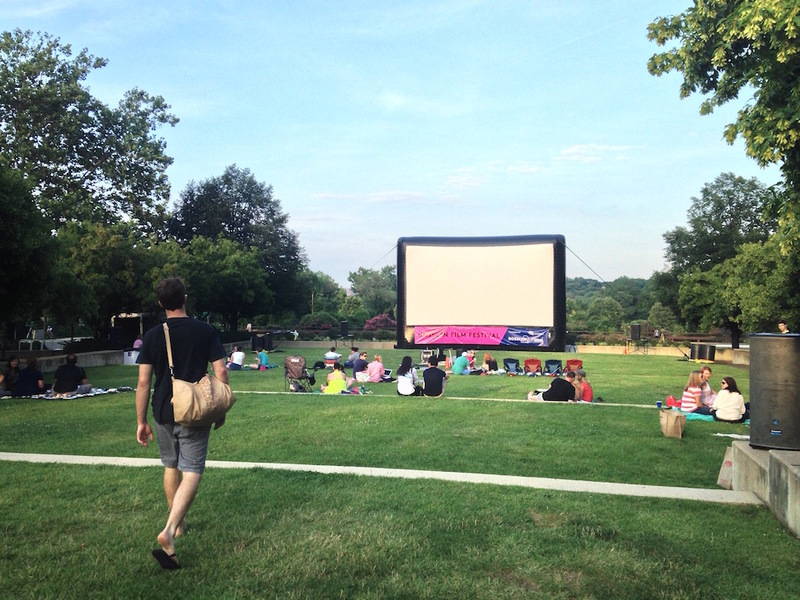 Movies typically don’t start until 8:45, but get there early, pack a picnic and enjoy the sunset! 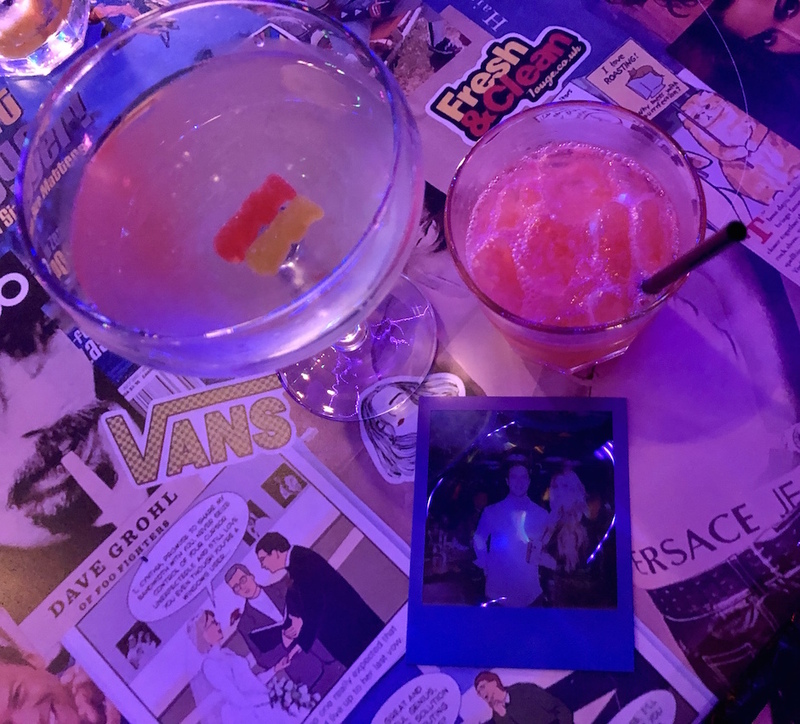 The theme this year is LOL Fridays: Quotable Comedies, and Clueless is playing this Friday!! 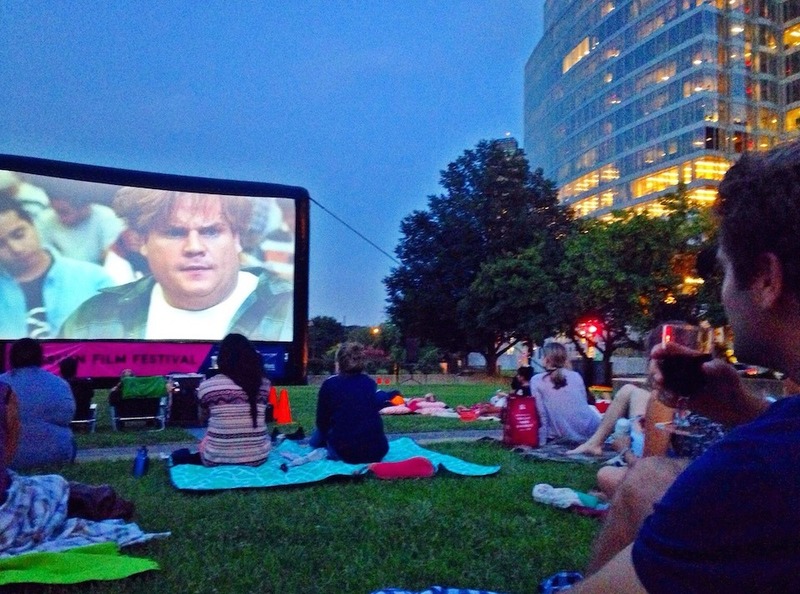 I happened to catch this playing a few years ago at Gateway Park– see this post. 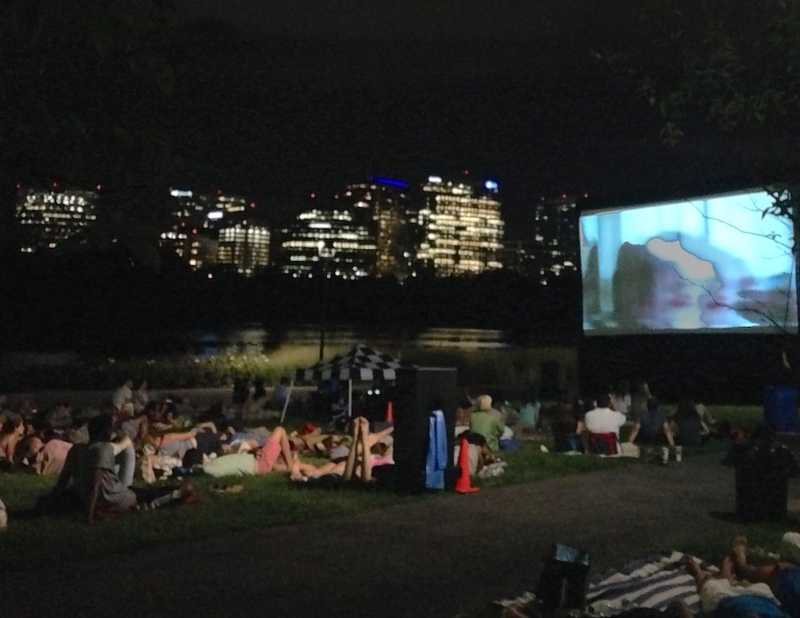 It’s the very first year Georgetown has offered outdoor movies, and it’s a perfect location for it- a beautiful park setting, along the river, with the Key Bridge in the background. 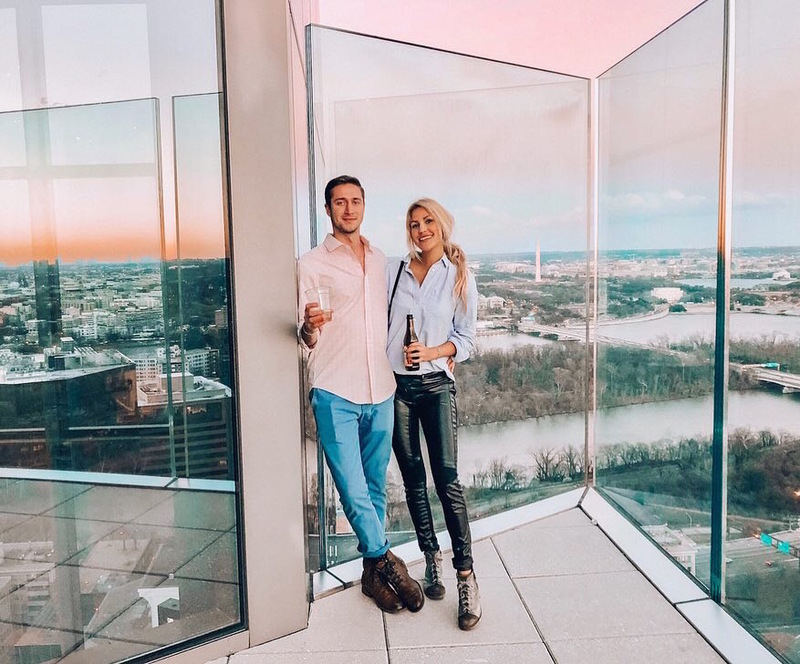 Also an excellent people watching spot! 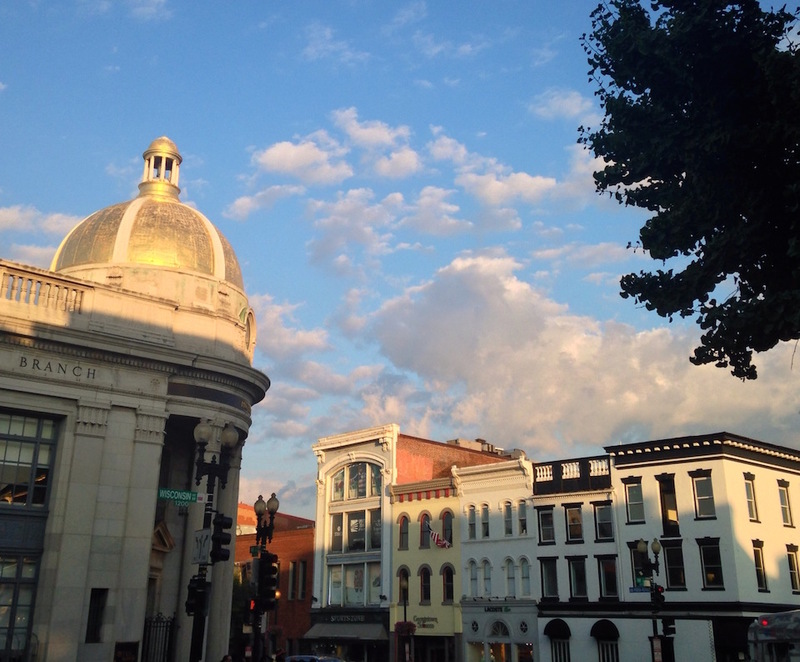 The theme for this summer series is movies filmed in or inspired by Georgetown.